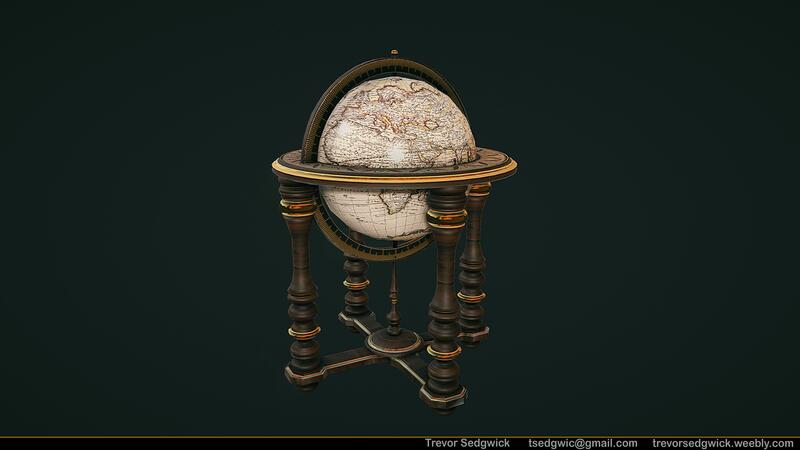 Based off images of various globes. 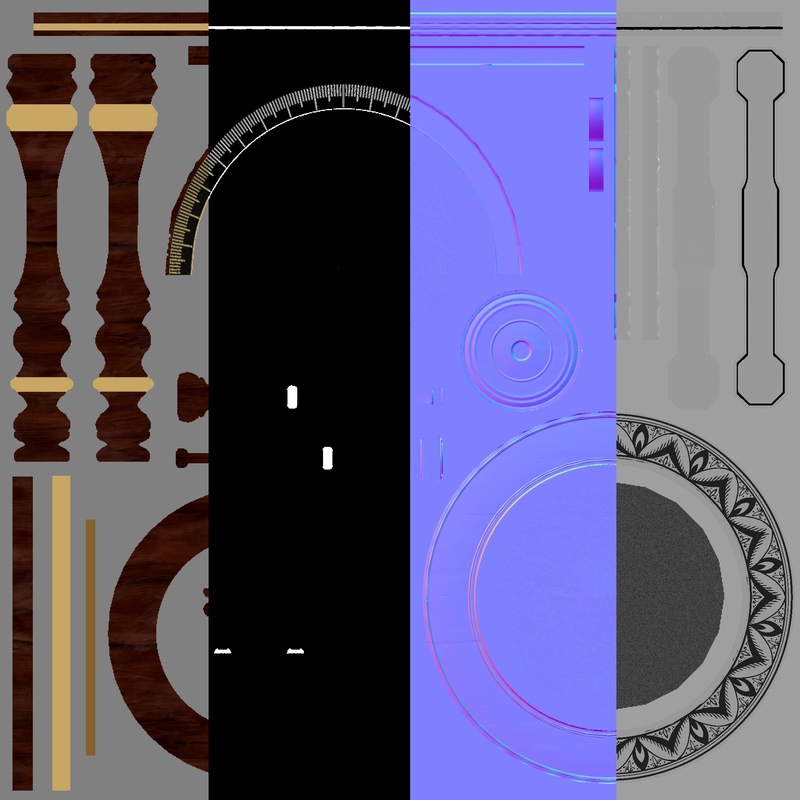 I modeled the various pieces in both high and low poly inside of Maya. 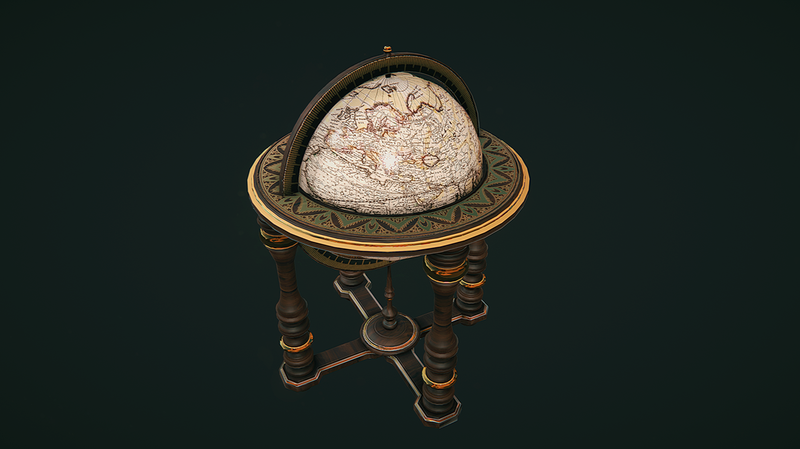 I baked out a normal map (tangent and world space), ao and color with xNormal using an exploded bake. 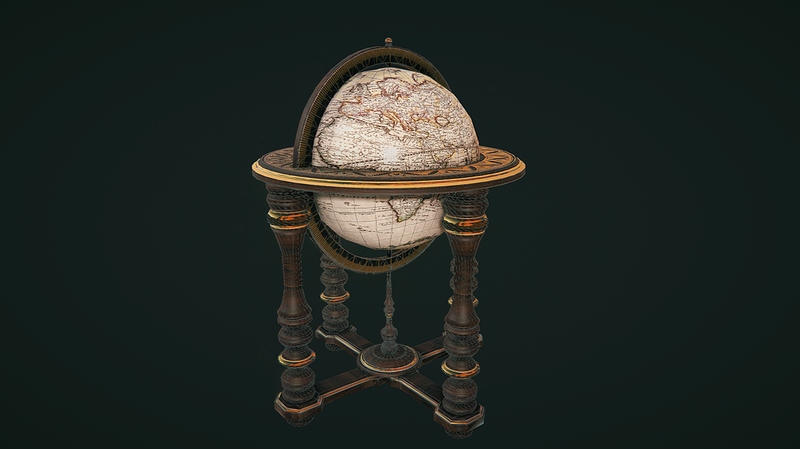 Textures were created using a mix of Photoshop and Quixel Suite. The model is rendered inside of 3DO.